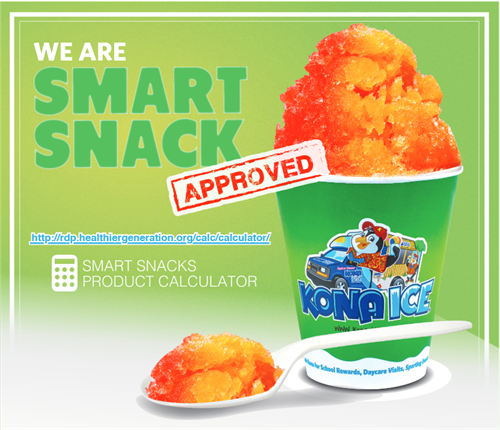 KONA ICE IS SMART SNACK APPROVED BY THE FDA! 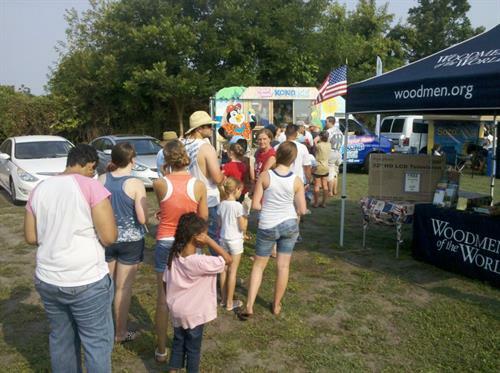 We are a state-of-the-art tropical Shaved Ice Vehicle designed to entertain the entire family while enjoying a tropical shaved ice. 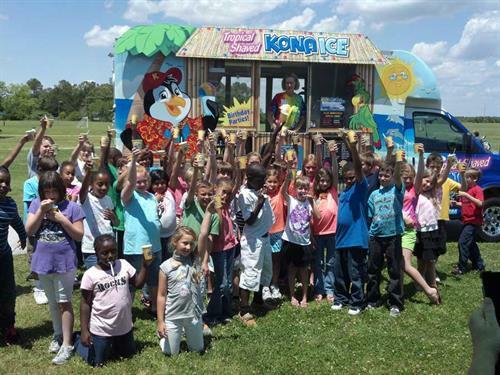 The Kona Ice truck can be found at Fairs, Festivals, Fund Raisers, Schools, Sporting Events, Private Parties (can you say BIRTHDAY? ), and all types of special events. We specialize in Fund Raising for your Youth Sports League, Church, School, or any other organization. Let us do all the work for you. No organization volunteers needed. We do ALL OF THE WORK, you collect the check. Show us where to park, and who To write the check to! 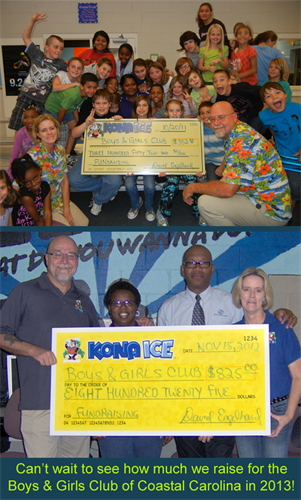 Contact Kona Ice of the Crystal Coast today for more information!